Banking law is based on a contractual analysis of the relationship between the bank and the customer. The definition of bank is given above, and the definition of customer is any person for whom the bank agrees to conduct an account. The bank account balance is the financial position between the bank and the customer, when the account is in credit, the bank owes the balance to the customer, when the account is overdrawn, the customer owes the balance to the bank. The bank engages to pay the customer’s cheques up to the amount standing to the credit of the customer’s account, plus any agreed overdraft limit. The bank may not pay from the customer’s account without a mandate from the customer, e.g. a cheque drawn by the customer. The bank engages to promptly collect the cheques deposited to the customer’s account as the customer’s agent, and to credit the proceeds to the customer’s account. The bank has a lien on cheques deposited to the customer’s account, to the extent that the customer is indebted to the bank. The bank must not disclose the details of the transactions going through the customer’s account unless the customer consents, there is a public duty to disclose, the bank’s interests require it, or under compulsion of law. The bank must not close a customer’s account without reasonable notice to the customer, because cheques are outstanding in the ordinary course of business for several days. These implied contractual terms may be modified by express agreement between the customer and the bank. The statutes and regulations in force in the jurisdiction may also modify the above terms and/or create new rights, obligations or limitations relevant to the bank-customer relationship. The banking system at independence consisted of two branch offices of the former State Bank of Pakistan and seventeen large commercial banks, two of which were controlled by Bangladeshi interests and three by foreigners other than West Pakistanis. There were fourteen smaller commercial banks. Virtually all banking services were concentrated in urban areas. The newly independent government immediately designated the Dhaka branch of the State Bank of Pakistan as the central bank and renamed it the Bangladesh Bank. The bank was responsible for regulating currency, controlling credit and monetary policy, and administering exchange control and the official foreign exchange reserves. The Bangladesh government initially nationalized the entire domestic banking system and proceeded to reorganize and rename the various banks. Foreign-owned banks were permitted to continue doing business in Bangladesh. The insurance business was also nationalized and became a source of potential investment funds. Cooperative credit systems and postal savings offices handled service to small individual and rural accounts. The new banking system succeeded in establishing reasonably efficient procedures for managing credit and foreign exchange. The primary function of the credit system throughout the 1970s was to finance trade and the public sector, which together absorbed 75 percent of total advances. The government’s encouragement during the late 1970s and early 1980s of agricultural development and private industry brought changes in lending strategies. Managed by the Bangladesh Krishi Bank, a specialized agricultural banking institution, lending to farmers and fishermen dramatically expanded. The number of rural bank branches doubled between 1977 and 1985, to more than 3,330. Denationalization and private industrial growth led the Bangladesh Bank and the World Bank to focus their lending on the emerging private manufacturing sector. Scheduled bank advances to private agriculture, as a percentage of sectoral GDP, rose from 2 percent in FY 1979 to 11 percent in FY 1987, while advances to private manufacturing rose from 13 percent to 53 percent. The transformation of finance priorities has brought with it problems in administration. No sound project-appraisal system was in place to identify viable borrowers and projects. Lending institutions did not have adequate autonomy to choose borrowers and projects and were often instructed by the political authorities. In addition, the incentive system for the banks stressed disbursements rather than recoveries, and the accounting and debt collection systems were inadequate to deal with the problems of loan recovery. It became more common for borrowers to default on loans than to repay them; the lending system was simply disbursing grant assistance to private individuals who qualified for loans more for political than for economic reasons. The rate of recovery on agricultural loans was only 27 percent in FY 1986, and the rate on industrial loans was even worse. As a result of this poor showing, major donors applied pressure to induce the government and banks to take firmer action to strengthen internal bank management and credit discipline. As a consequence, recovery rates began to improve in 1987. The National Commission on Money, Credit, and Banking recommended broad structural changes in Bangladesh’s system of financial intermediation early in 1987, many of which were built into a three-year compensatory financing facility signed by Bangladesh with the IMF in February 1987. One major exception to the management problems of Bangladeshi banks was the Grameen Bank, begun as a government project in 1976 and established in 1983 as an independent bank. In the late 1980s, the bank continued to provide financial resources to the poor on reasonable terms and to generate productive self-employment without external assistance. Its customers were landless persons who took small loans for all types of economic activities, including housing. About 70 percent of the borrowers were women, who were otherwise not much represented in institutional finance. Collective rural enterprises also could borrow from the Grameen Bank for investments in tube wells, rice and oil mills, and power looms and for leasing land for joint cultivation. The average loan by the Grameen Bank in the mid-1980s was around Tk2,000 (US$65), and the maximum was just Tk18,000 (for construction of a tin-roof house). Repayment terms were 4 percent for rural housing and 8.5 percent for normal lending operations. The Grameen Bank extended collateral-free loans to 200,000 landless people in its first 10 years. Most of its customers had never dealt with formal lending institutions before. The most remarkable accomplishment was the phenomenal recovery rate; amid the prevailing pattern of bad debts throughout the Bangladeshi banking system, only 4 percent of Grameen Bank loans were overdue. The bank had from the outset applied a specialized system of intensive credit supervision that set it apart from others. Its success, though still on a rather small scale, provided hope that it could continue to grow and that it could be replicated or adapted to other development-related priorities. The Grameen Bank was expanding rapidly, planning to have 500 branches throughout the country by the late 1980s. Beginning in late 1985, the government pursued a tight monetary policy aimed at limiting the growth of domestic private credit and government borrowing from the banking system. The policy was largely successful in reducing the growth of the money supply and total domestic credit. Net credit to the government actually declined in FY 1986. The problem of credit recovery remained a threat to monetary stability, responsible for serious resource misallocation and harsh inequities. Although the government had begun effective measures to improve financial discipline, the draconian contraction of credit availability contained the risk of inadvertently discouraging new economic activity. Foreign exchange reserves at the end of FY 1986 were US$476 million, equivalent to slightly more than 2 months worth of imports. This represented a 20-percent increase of reserves over the previous year, largely the result of higher remittances by Bangladeshi workers abroad. The country also reduced imports by about 10 percent to US$2.4 billion. Because of Bangladesh’s status as a least developed country receiving concession loans, private creditors accounted for only about 6 percent of outstanding public debt. The external public debt was US$6.4 billion, and annual debt service payments were US$467 million at the end of FY 1986. Banks’ activities can be divided into retail banking, dealing directly with individuals and small businesses; business banking, providing services to mid-market business; corporate banking, directed at large business entities; private banking, providing wealth management services to High Net Worth Individuals and families; and investment banking, relating to activities on the financial markets. Most banks are profit-making, private enterprises. However, some are owned by government, or are non-profits. Central banks are normally government owned banks, often charged with quasi-regulatory responsibilities, e.g. supervising commercial banks, or controlling the cash interest rate. They generally provide liquidity to the banking system and act as Lender of last resort in event of a crisis. Commercial bank: the term used for a normal bank to distinguish it from an investment bank. After the Great Depression, the U.S. Congress required that banks only engage in banking activities, whereas investment banks were limited to capital market activities. Since the two no longer have to be under separate ownership, some use the term “commercial bank” to refer to a bank or a division of a bank that mostly deals with deposits and loans from corporations or large businesses. Community development banks: regulated banks that provide financial services and credit to underserved markets or populations. Private banks: manage the assets of high net worth individuals. Savings bank: In Europe, savings banks take their roots in the 19th or sometimes even 18th century. Their original objective was to provide easily accessible savings products to all strata of the population. In some countries, savings banks were created on public initiative, while in others socially committed individuals created foundations to put in place the necessary infrastructure. Nowadays, European savings banks have kept their focus on retail banking: payments, savings products, credits and insurances for individuals or small and medium-sized enterprises. Apart from this retail focus, they also differ from commercial banks by their broadly decentralized distribution network, providing local and regional outreach and by their socially responsible approach to business and society. Building societies and Landesbanks: conduct retail banking. Ethical banks: banks that prioritize the transparency of all operations and make only what they consider to be socially-responsible investments. Investment banks “underwrite” (guarantee the sale of) stock and bond issues, trade for their own accounts, make markets, and advise corporations on capital markets activities such as mergers and acquisitions. Merchant banks were traditionally banks which refers to banks which provide capital to firms in the form of shares rather than loans. Unlike Venture capital firms, they tend not to invest in new companies. Universal banks, more commonly known as a financial services company, engage in several of these activities. For example, First Bank (a very large bank) is involved in commercial and retail lending, and its subsidiaries in tax-havens offer offshore banking services to customers in other countries. Other large financial institutions are similarly diversified and engage in multiple activities. In Europe and Asia, big banks are much diversified groups that, among other services, also distribute insurance, hence the term banc assurance is the term used to describe the sale of insurance products in a bank. The word is a combination of “banquet or bank” and “assurance” signifying that both banking and insurance are provided by the same corporate entity. Islamic banking: Islamic banks adhere to the concepts of Islamic law. Islamic banking revolves around several well established concepts which are based on Islamic canons. Since the concept of interest is forbidden in Islam, all banking activities must avoid interest. Instead of interest, the bank earns profit (mark-up) and fees on financing facilities that it extends to the customers. Pursuant to Bangladesh Bank Order, 1972 the Government of Bangladesh reorganized the Dhaka branch of the State Bank of Pakistan as the central bank of the country, and named it Bangladesh Bank with retrospective effect from 16th December, 1971. The banking industry is a highly regulated industry with detailed and focused regulators. All banks with FDIC-insured deposits have the FDIC as a regulator; however, for examinations, the Federal Reserve is the primary federal regulator for Fed-member state banks; the Office of the Comptroller of the Currency (“OCC”) is the primary federal regulator for national banks; and the Office of Thrift Supervision, or OTS, is the primary federal regulator for thrifts. State non-member banks are examined by the state agencies as well as the FDIC. National banks have one primary regulator—the OCC. The Federal Financial Institutions Examination Council (FFIEC) was established in 1979 as a formal interagency body empowered to prescribe uniform principles, standards, and report forms for the federal examination of financial institutions. Although the FFIEC has resulted in a greater degree of regulatory consistency between the agencies, the rules and regulations are constantly changing. In addition to changing regulations, changes in the industry have led to consolidations within the Federal Reserve, FDIC, OTS and OCC. Offices have been closed, supervisory regions have been merged, staff levels have been reduced and budgets have been cut. The remaining regulators face an increased burden with increased workload and more banks per regulator. While banks struggle to keep up with the changes in the regulatory environment, regulators struggle to manage their workload and effectively regulate their banks. The impact of these changes is that banks are receiving less hands-on assessment by the regulators, less time spent with each institution, and the potential for more problems slipping through the cracks, potentially resulting in an overall increase in bank failures across the United States. The management of the banks’ asset portfolios also remains a challenge in today’s economic environment. Loans are a bank’s primary asset category and when loan quality becomes suspect, the foundation of a bank is shaken to the core. While always an issue for banks, declining asset quality has become a big problem for financial institutions. There are several reasons for this, one of which is the lax attitude some banks have adopted because of the years of “good times.” The potential for this is exacerbated by the reduction in the regulatory oversight of banks and in some cases depth of management. Problems are more likely to go undetected, resulting in a significant impact on the bank when they are recognized. In addition, banks, like any business, struggle to cut costs and have consequently eliminated certain expenses, such as adequate employee training programs. Banks also face a host of other challenges such as aging ownership groups. Across the country, many banks’ management teams and board of directors are aging. Banks also face ongoing pressure by shareholders, both public and private, to achieve earnings and growth projections. Regulators place added pressure on banks to manage the various categories of risk. Banking is also an extremely competitive industry. Competing in the financial services industry has become tougher with the entrance of such players as insurance agencies, credit unions, check cashing services, credit card companies, etc. Like all businesses, banks profit by earning more money than what they pay in expenses. The major portion of a bank’s profit comes from the fees that it charges for its services and the interest that it earns on its assets. Its major expense is the interest paid on its liabilities. The major assets of a bank are its loans to individuals, businesses, and other organizations and the securities that it holds, while its major liabilities are its deposits and the money that it borrows, either from other banks or by selling commercial paper in the money market. Islami Bank Bangladesh Limited is the faith of mass people in the Banking industry of Bangladesh. It’s act as a role model in this sector. Nevertheless it’s a passion and the largest commercial bank in this Muslim populated Islamic country. Islami Bank Bangladesh limited based on Islamic Shariah, which is nicely match with the culture of Bangladesh. It’s a practice mass banking which touches the income level of general public of this less developed country and it has generated a great effect on the socio-economic development. By its various investment mechanism and special investment scheme its generate employment and develop entrepreneurs throughout the country. Interest free banking system is no more a concept it’s a reality. More than 300 Islamic Banks, financial institutions are operating in different countries throughout the world as Islami Bank Bangladesh Limited does also operating its system interest free. 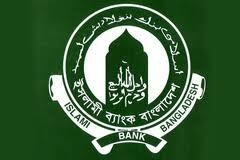 Despite tremendous popular support spectacular success in terms of mobilization of deposit and distribution of profit, Islamic Banking in Bangladesh cannot yet achieve the desired level of success due to the absence of appropriate legal frame work for the carrying out Islamic banking operation of the country. Social justice is in economic sector may be ensured as the banking is growing the same rhythm and it’s an achievement in banking sector. IBBL will be more effective in our economy by lunching new financial products to attract deposit as Consumer Credit Scheme, Pension Scheme, Child Education Scheme, and Plastic Money ATM etc. Annual Reports of IBBL (Last five Years). Several Booklets from Islami Bank Bangladesh Limited. Several Newsletters from Islami Bank Bangladesh Limited. Islami Bank Bangladesh Limited Web site. Different Types of Products of IBBL i.e. Leaflets, Brochures, Synopsizes etc.